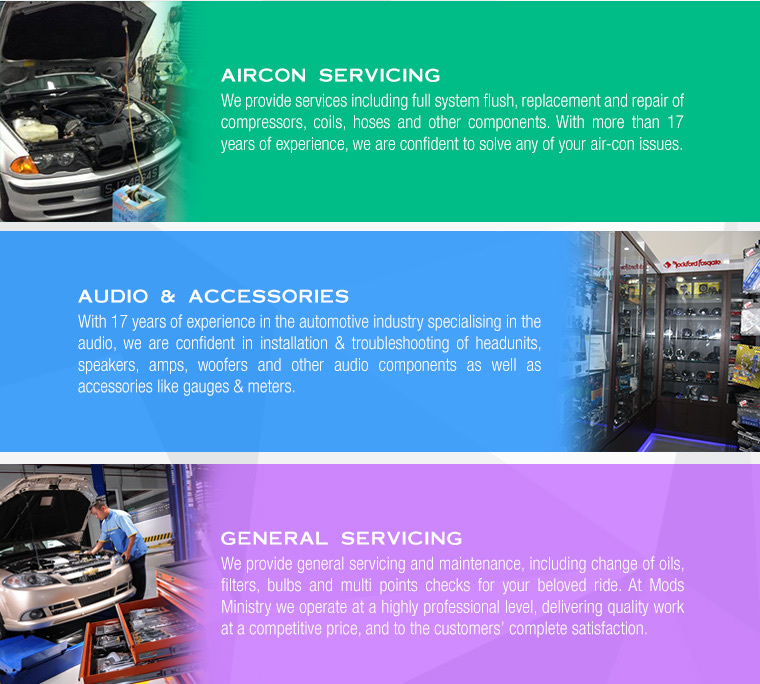 They house a comprehensive collection of accessories and car-related services, specializing in car audio, cameras, air-conditioning and more. 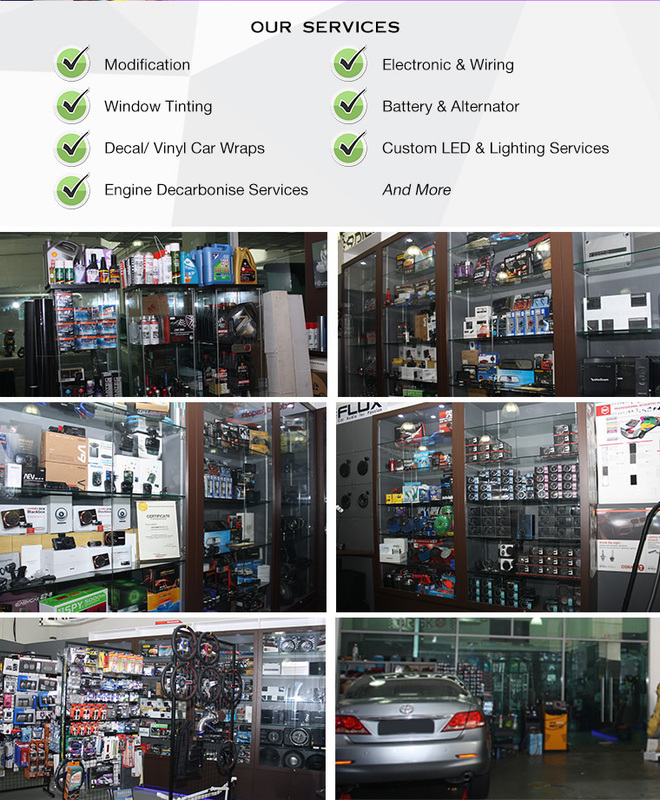 They are a highly respected retail outlet offering a comprehensive selection of car accessories and a one stop car shop for you! 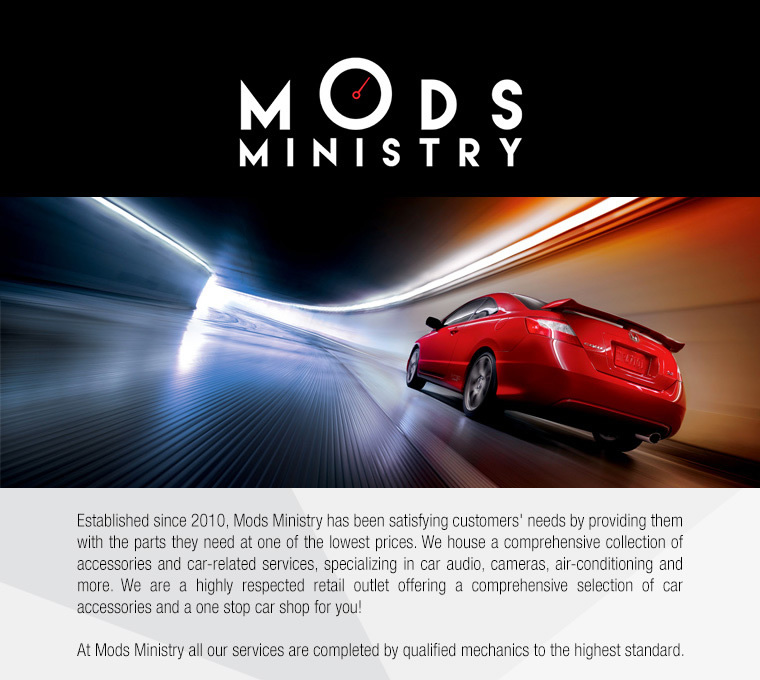 At Mods Ministry all our services are completed by qualified mechanics to the highest standard. 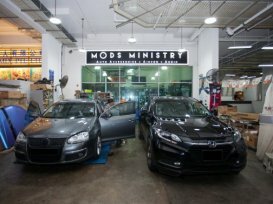 Did speakers installation here. Installer did a a job describing the difference between promotion bundles and installation. No Complain! Value for money! I was even given a complimentary parking ticket!! Installed a reverse camera with standalone screen. Was advised to add a iRoad V7 dash cam as it was attractively priced. Both items were installed quickly with good workmanship.